- I don't do that any more! I will just fasten my seatbelt because this sure is a bumpy ride! We all have a choice - not what happens to us but what we respond to. I respond with hope for a good minute (a good day is too long!) My head aches but I'm officially a CAE3! That's a very big deal! Good and bad things can live side by side - you get to choose what's more important. Smoking isn't a part of the equation! When the compelling thoughts of addiction pound away at you day and night - it's easy in that moment to give in. That's why you prepare for those moments and make it hard for yourself. Once you've given in, you find out that now it's harder to not give in! The thoughts of why it's OK are still in your head. "Now is not the time." "I'm just too stressed out right now." "There's too much going on in my life right now." Maybe tomorrow - or next week- or next Month - or.....never! The door is open for doubts, second guessing, excuses to sneak in. Next time it will be even harder! We have to make up our minds that Now is the only time that counts - right now! Every now until we have days, and then weeks, and then yes, Months - even Years - a forever quit going! No excuses, no exceptions, no room to wiggle out. "I will not smoke for any reason no matter what!" I respect myself enough to honor my final decision to enter and stay unconditionally in recovery! It's hard but each moment you go back to your promise, each day that you meet, each week under your belt, each Month and Year becomes easier. If you give in you still have the hard part in front of you and there is never a better time than right now! That's where mindfulness comes in - all those right nows of keeping your sacred promise make a true recovery full of discipline and of relief, of effort and of accomplishment, of grief and of pride and self-respect! "I kept my promise to myself! I deserve self-care! I accomplished something very challenging! Me- I did that - I am doing that because I love and respect my Life!" Whether you have one minute - or one decade - celebrate your recovery - your accomplishment! Keep moving forward minute by minute and never, ever give in or give up! I had my first MRI on my brain tumor but I also had my first day with my portable oxygen concentrator. I worked a full shift with no heavy tanks and no regulators that broke. I can't tell you how much of a relief it is to pick up my 4 lb poc and go! MRIs are not fun but they are doable. I have the ability to bring myself to another space in my mind and the noise was barely noticed. Before I knew it - it was over. Today I go back to exercise, back to AlAnon and I will remember Leonard Nimoy's 88th Birthday! It's bound to be a great day! When you quit smoking you create a new lifestyle. My Family, my Friends, my Self Care are all activities I put aside for Sickerettes. Now I have time for all of it! I've been having a headache since Friday. Saturday I was diagnosed with a tension headache and given an injection of anti- inflammatory and some muscle relaxant pills. They helped a little for a little while. But today my headache was as bad or worse than it was Saturday so I went to urgent care again - who sent me to the ER. After a cat scan the Dr came in and told me that I had a non-malignant brain tumor - thus the headaches. So now I have another diagnosis to deal with. Lucky guy! Anyway I will be following up with a Drs appointment with my regular Dr so he can set up an MRI. We'll take it from there. When you get a lemon - make lemonade! All is in God's hands and I trust Him to do good and bless my journey - no matter how this turns out! I intend to celebrate each day and live it to the best extent my health allows! So glad I don''t smoke! Whether you have been in Recovery for years, just getting started or still preparing mindfulness is a way to get in touch with the thoughts rattling around in your head and give yourself a chance to focus on what you decide is important to you rather than being swept away by the tsunami of "to do's" and worries. Yesterday I started a new exercise class. All day I found myself worrying about various silly things such as "will I fit in?" "will it take up too much of my time?" "will I become sick because of exercise?" Then I would take a minute of mindfulness and rather than living in my worries pile I chose to focus on this moment right now. When it came time for exercise class, I was there on time, focused on the class, and engaged. When it was over I was "good tired" but knew I hadn't overdone it! Which would you rather do - live in your worry pile or be there for this moment fully focused and engaged? When you practice mindfulness those smoking thoughts do get acknowledged- denial is not going to work - but you choose what you want to focus on - work, play, friends, family, fun. It takes practice but there's really nothing more to it than stopping your racing thoughts enough to ask yourself "what am I thinking?" and "what do I choose to think about?" It's empowering and refreshing - a mini vaca in your day that you can take as many times as you like until before you know it you are living there! July 17, 2017 I was in declining health and debating whether to go on SSD and watch Judge Judy all day or try to get another completely different kind of job. Completely lost, I went to a Career Counselor, Rachel, who studied my resume and then had what I thought was a very crazy idea - "You can work for Comcast!" Say what???? I don't even know what the blinky light tower is called or how to install my own TV Cable. This is nuts! You've got the wrong person. Then I studied Comcast website and found out that one of their core values is diversity and inclusion. Guess what unknowingly was the first line of my resume? Well, now, that got my attention! But was it true or just a line? I have never worked for a corporation before - let alone one of the biggest, most hated corporations in the world! So being the daring person that I have always been I took the test. I thought - no way- even the local school district wouldn't hire me. But the very next day I got the call. I had huge doubts from the beginning. I walked into a room full of millenials - I was 59 at the time and thought - oh boy, am I in over my head! I had one of the hardest, most unpredictable interviews I've ever had. All my prep answers went out the window and I got real. What's to lose, right? Shock, they hired me! Then I faced 8 very intense weeks of training. While the millenials played on their cell phones, I studied like mad - still wondering if I could make it. My computer skills were very weak and my long suit is customer service. Some years ago, somebody told me that learning to bowl is easier if you've never done it wrong! Good point! So I barely graduated and was filled with self-doubt telling myself that at least I'm getting good training in Customer Service Rep if nothing else. I asked very dumb questions like what's the difference between a modem and a router because honestly I didn't know. Who knew that internet travels on radio waves? My kids, of course! Long story short I just got my 3rd promotion and raise with a score of Highly Effective! My secret is I remember what it was like to have no idea what a cloud is or Gig or HDMI. I don't expect my customers to know either. That's not their job - it's mine! So I keep it easy, simple, and amazing - like magic. Because that's what it has always been to me! The lesson? We learned how to not smoke dozens of times but we never learned how to recover! Open your mind to a new way of looking at this magical process of reclaiming yourself! It's not the same ol' toss the bowling ball in the general direction of the pins. It's precise - how is your posture? How do you hold the ball? What kind of stride do you have? 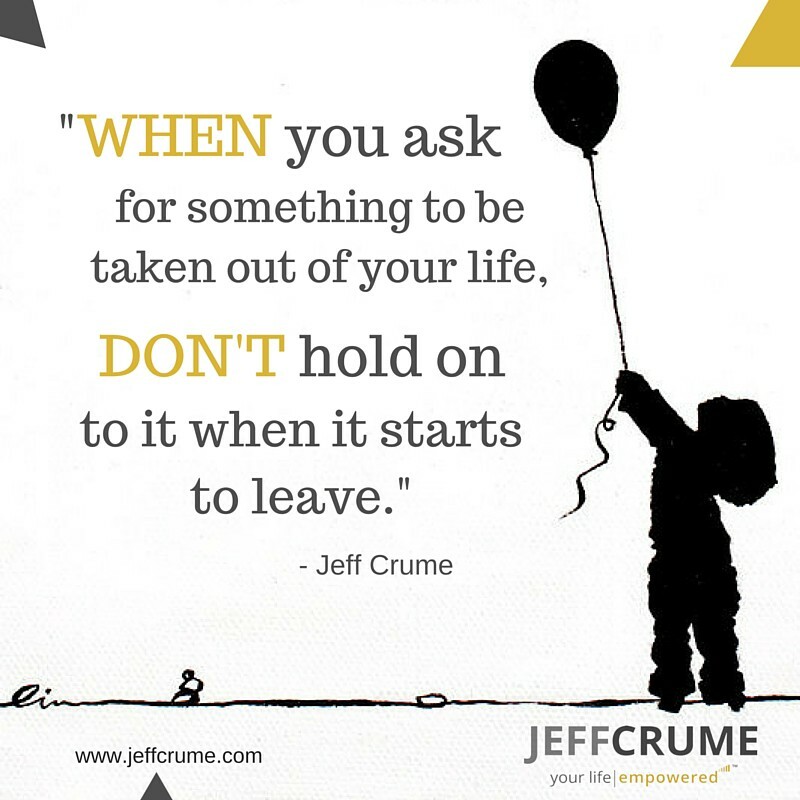 When do you let go? Where are your eyes focused? Put all that "I tried!" behind you! This is definitely doable - recovery not just another quit! That's your job! Keep it simple - smoking is not an option, and amazing because you are amazing and that's what you are getting back! And heck, if this old man can become highly effective in a building full of millenials you can recover! You're worth it! Come here and use your LifeLines! Yell, cuss (in a way that passes Admin), scream - even in caps, cry, whine, whatever it takes! Just do not beg, borrow, steal, or purchase a Sickerette! Necessity is the Mother of invention. You'll find a hundred, maybe even a thousand other ways to get through! You may pace, or knit, or clean, or climb into bed and sleep it off, or run, or, or, or .... but you will honor your decision to not smoke for any "reason", i.e. excuse! I hear the excuses already - my cat died, I lost my job, I can't pay my rent, my mom and/or dad and/or children are sick - You see, there is nothing whatsoever that is going on in your Life that doesn't happen to nonsmokers and EX-smokers which means - not a good enough excuse! Guess what? When you slam that door behind you, lock it with a key and throw the key away it's easier! The crazy mind games get bored and just stop! 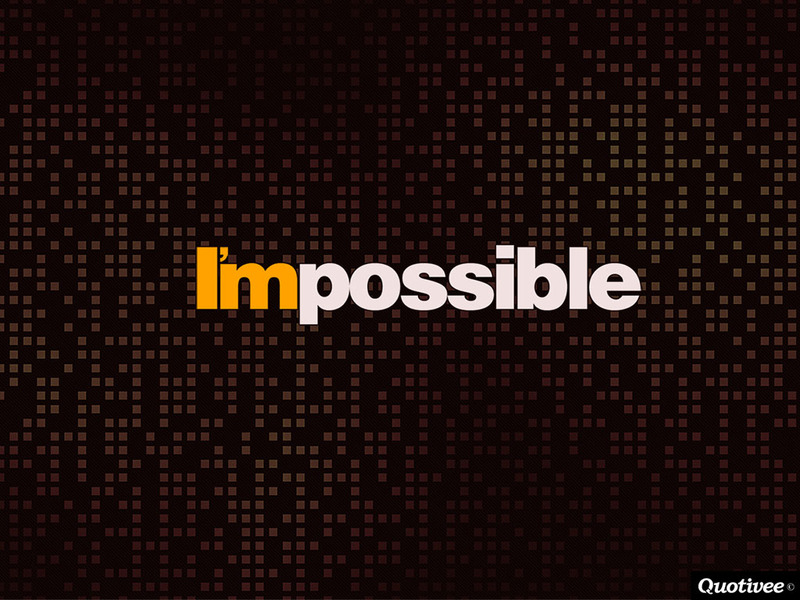 The addiction comes to terms with the fact that you mean absolute business and all kinds of possibilities for living a wonderful Life open up! So it's up to you - easy or difficult? It's all in your Quititude! I chose easier! You can, too! I didn't intend to give myself away to addiction. It started so small - just an experiment to keep up with my then girlfriend. I liked her so much - but not the smell so I thought I'd go with the saying "if you can't beat them, join them!" I'm so glad we don't say that any more! It's just plain dumb! Be yourself - hang onto yourself! You're the only you on the planet and that's Special! So the first thing I gave up on were my Values - prior, I had been against smoking! Then I gave up on my honesty - "If nobody knows, it doesn't count!" Soon I gave up on my - Self! I chose to become a smoker and kept smoking for the next 20 - yes, two zero - Years - long after the girl was history! Do I regret it? I don't believe in regret - it keeps you trapped in the past. But I faced my Fear and quit. Thank You, Lord! Because quitting is not just quitting it is Recovery - it's not about what you lose - it's all about what you gain - your true, Self - your integrity! The unique YOU that you were meant to be! I got my honesty back and then my values and then my Self! I have become each day of this beautiful Recovery Journey more and more of the ME that doesn't sacrifice his heart, mind, soul, and body to Addiction! I continue to grow into the Best Thomas I can become! Why do you suppose they say, "Become an EX!" it means become the Real God given YOU! IT's worth every blood, sweat and tears - LIFE! Copd is an umbrella of various respiratory ailments because one causes and/or exacerbates another one. Most of us have emphysema and chronic bronchitis. I have several others as well. But that's not the point of this blog - I just want you to know that no 2 of us has the same group of ailments, symptoms, and challenges as we face each day. This is my story. I sleep in a recliner because I can no longer sleep flat - it causes my chronic cough to become excessive so for me it's a recliner. I use oxygen 24/7 and at the present time am using big tanks that I fill on my home oxygen concentrator. Each tank holds 5-6 hours of oxygen but takes 5-6 hours to fill as well. So to get through a full day of activity I need 2-3 tanks. All night long I have half an eye open to catch the sound change of a tank reaching full and then I quickly change out the full for an empty so I can have oxygen for tomorrow. Not conducive to a good night's sleep! Now when you fill a tank absolutely everything has to be just right or you will find that you spent hours thinking you were filling a tank just to find out it is empty! So luckily today I actually got my tanks filled for a full day and now I begin the process of preparing for tomorrow. But that's only half the trick! The despenser called a regulator is run on batteries and it puffs out just enough oxygen when I breathe in only - it's called pulse oxygen and is used to make the tanks last longer. They break down with frequency because they are repaired and repaired and recycled till they can't be any more. Nobody gets a new one! 2 dilemmas: will my regulator work today and do I have replacement batteries if the batteries drain out? And here is a third one - what if I lose the washer that seals the air going from the oxygen tank to the regulator? Then I'm in big crisis mode! Today I was lucky all of that went well! Hooray! Even when I have the equipment working well there's still the possibility that one minute I'm fine and the next minute my oxygen saturation level which should never be below 90 has just fallen to 74 for no known reason. Then it's off to the ER and I can't drive myself so I have to either get a ride or get a taxi to take me. This happens 1-2 times every Month. So I get to the hospital and they do tests and chest Xrays and send me home with prednisone(steroids) and antibiotics. There are 2 concerns here. Steroids don't let you sleep for days and they literally turn your bones to dust. Antibiotics when used too much can lead to MRSA - not something I want! Then there are the nodules on my lungs. They have to be tested regularly to make sure I haven't yet got lung cancer. People with COPD are twice as likely to develop lung cancer. so yes, I get my CT Scans to watch the nodules and be sure they are not growing. I am blessed! I have a full time job where diversity and inclusion are of prime value! I use my oxygen at work and if I get sick - I leave with the company's support. I work in a call center and have a status of highly effective. Considering that 2 years ago I couldn't tell you what a modem is - I feel very fortunate! But I have up to now avoided my feelings. First, when I was stage II I didn't have any of these complications and thought - this is a breeze! Then I got sick with pneumonia and lost 15% of my lung capacity in one single day - it never comes back! That's when I jumped into Stage III. It's challenging to label myself as disabled - handicapped. But I have to admit for the first time in my life that yes, that's me. Acceptance is fleeting. I grieve again and again for the losses I have endured and once more let go of the "I can'ts"
It's a hit to my sense of Self and Self worth. It makes me feel "weak." Then there is the battle of depression and anxiety that has plagued me my entire life. These aren't just bluesy days you can walk off or affirmation yourself out of - they are deep and wide and engulf me completely. Quitting smoking has helped but having COPD has made them more - bigger, often, blacker. Nothing is more important to me than spending time with my Family - Alex, his wife Kari ( the vet) and Miss Penny and Miss Tahlia. But if they have a cold or the flu I can't be near them. It's just fact. When I do get with them I can't be their abuelo as much as I like because I tire easily and can't keep up with a 3 year old and 18 month old for long! Penny knows - when she sees me she says "Bubbles" and I get a cup of water and put my tubing in the water and let the oxygen blow bubbles for her. She giggles and asks me again and again. If I stay overnight I have to take my concentrator and my CPAP with me. It's a lot of luggage - not to mention the 15 meds I take a day regularly plus my rescue inhaler and my Clonazepam in case I get panic attacks. Then there's the weather. Winter has been brutally cold and windy this year. It often takes my breath away and I can't stop coughing. I cough so hard that I have broken my ribs before. That's because my lungs are hyperinflated (bigger than normal) from emphysema and press against my rib cage. This is called barrel chest. So I can get very boring. If it sounds tedious that's because it is! - I'll try to stick to feelings: anger, frustration, self-blame, self deprecation, sadness, anxiety and depression. Then I pump myself up with affirmations, gratitude lists, mindfulness meditation, hope, love, peace ....and it all comes crashing down again like a house of cards. This is what I want you to avoid! This vicious cycle of building and destroying again and again. The phoenix rising from the ashes on ground hog's day! It's been awhile. I ask that my friends who were worried about me, please forgive me. They know me well by now. They know that when I disappear it's because I climbed into a deep hole of depression. It happens. But I know it was even worse when I smoked and I'm grateful for the good days. But I'm off topic. The topic is your lungs. Now, that I'm expert on - not because I chose it but because COPD chose me - with the help of Sickerettes, of course. So I was diagnosed with COPD almost 9 years ago. March 14, 2010. I quit smoking 6 days later - the first day of Spring. And then I began to learn about lungs and lung diseases. Lung diseases are much like Sickerettes - they travel in packs. COPD is the umbrella term for lung diseases - plural. I have several of them and now am Stage 3 of my progressive diseases. Trust me, you don't want to go there! Guess which is the healthy lungs picture. I'll bet you already know! But you still resist healing. 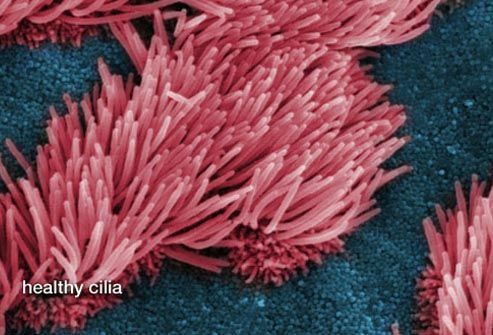 Here's another picture of cilia, the hairlike fibers that line the windpipe and clear away harmful bacteria and viruses that can give you respiratory illnesses like pneumonia. That's what we did to our lungs and cilia. Not a pretty picture! Well, I could go on and on - suffice to say I really would like for you to take this to heart - and lung! Breathe in deeply, right now, and Thank God that you still can - then pledge to quit smoking no matter what! Your lungs will Thank You and so do I! That means Live Long and Prosper! Ask Mr. Spock - oh, you can't - he died of COPD! But you still have a choice! As we Celebrate Martin Luther King Day, we celebrate the BEST of ourselves. We reach out for our potential BEST just as he had in his short, enlightened inspiring life! Dr. King was intelligent, yes and he was charismatic but more than that he had Faith in his fellow human being and the dream that dwelled in his mind! While we were smoking, we had a dream that seemed so far fetched - a dream for FREEDOM! We had an inkling of our potential selves, a memory of the FREEDOM we relinquished by taking that first puff and that ever since, most of us for decades, was being puffed away with addiction. That simple little thought made us strive for FREEDOM - the FREEDOM to be as Our Creator wishes we would be and knows we can be! Many of us have looked under every crook and cranny our our minds for the means to gain our FREEDOM until we found the PRIZE! A few others were able to find the way more directly. And most of us are still searching but refuse to give up! We each had our own motivations for this quest for FREEDOM but what we had in common is the goal! We were motivated by the fact that "a lie cannot live" and we knew on some level (some more conscious than others) that we were living a lie. To reach that goal takes a lot of human fortitude. As MLK said, "Change does not roll in on the wheels of inevitability, but comes through continuous struggle. And so we must straighten our backs and work for our FREEDOM." Too many people see quitting as an event, just as today's celebration is an event and back to "business as usual" tomorrow! But quitting brings change and change is not inevitable! We must straighten our backs and work our quit journey each and every day. That's a BIG ticket so it can only be done one day at a time, giving just for today commitment, focus, and determination - keeping always our eyes on the prize - FREEDOM and remember these words, "I know, somehow, that only when it is dark enough can you see the stars." Many of us have EXperienced the very personal loss of one or more family member, friend, loved one due to the wicked consequences of smoking related illness. It's absolutely devastating! And some of us have been struck down, debilitated, even left disabled, by smoking related illness. I happen to be one of them. If at times, our voices are shrill, it's because we wish to spare you! We want you to see past the Addictive lie that "smoking is a harmless vice", to know that smoking related illness is very real! But life isn't about not dying - it's about living well! 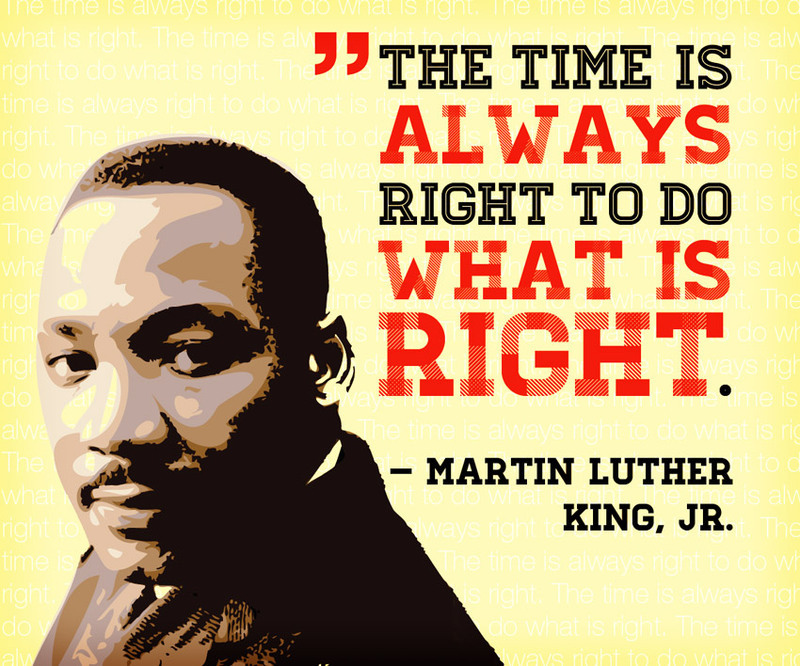 Again, MLK said, "Like anybody, I would like to live a long life. Longevity has its place. But I'm not concerned about that now. I just want to do God's will. And He's allowed me to go up to the mountain. And I've looked over. And I've seen the Promised Land. I may not get there with you. But I want you to know tonight, that we, as a people, will get to the promised land!" he said those famous words on April 3, 1963. On the next day, he was assassinated. I won't begin to speak for the other elders who continue to visit this site - I speak for myself alone, but these words perfectly EXpress my thoughts when I come here again and again and do my best to share my DREAM of FREEDOM for all of you, for all people caught up in the lie of Nicotine Addiction! Yes, folks, this struggle we are in is just as life and death, just as critical to the dignity of living as MLK's! And yes, I gladly give the BEST of myself when I come here and ask, "Wouldn't you like to live in FREEDOM? I, Thomas, have seen the Promised Land and believe that we, as a Community, will get there! Join me! I will walk beside you and together we will go up the mountain called FREEDOM!" OK. I just told a very close friend of mine that I have nothing to say but truth be told, I feel like I have too much to say and might never shut up! I'm royally ticked off - not at smokers - at Nicotine! It robs me daily of quality of Life, even of the will to Live! And I quit 8+ Years ago! Darn it! I'm valiantly cleaning up my language! Do you have any flipping idea how hard it is to constantly be worried about whether you have enough oxygen to make it through another "normal" day? Do you really get what it's like to take 15 meds and 3 inhalers and constant nebulizers all the time? Oops! I can't do such-and-such because I need to take my meds. Awe, I can't go here-and-there because I don't have enough oxygen. Gee, I'd love to go swimming, or run, or bike or you-name-it but I can't do that any more! All because of Sickerettes! My friend had to have a lung transplant. Another friend had to have surgery to cut out the bad parts of her lungs. This do-do is real! And yes, you do have a choice. In fact, it's all about choice! When I first joined way back in the day we used to say "Make the decision and then respect yourself enough to honor that decision no matter what! Still good advice. People always ask about how hard it is to quit - why don't you ask how hard it is to not quit? 2019: My Year to review and bring New Habits! As we leave 2018 behind and begin another Year, New Year's, like Birthdays, brings us to review our lives and set new goals for health, money, and love - as we say in the Spanish toast - Salud, Dinero y Amor! What we can decide to keep in mind is that successful habit building is not black and white but many shades of color! 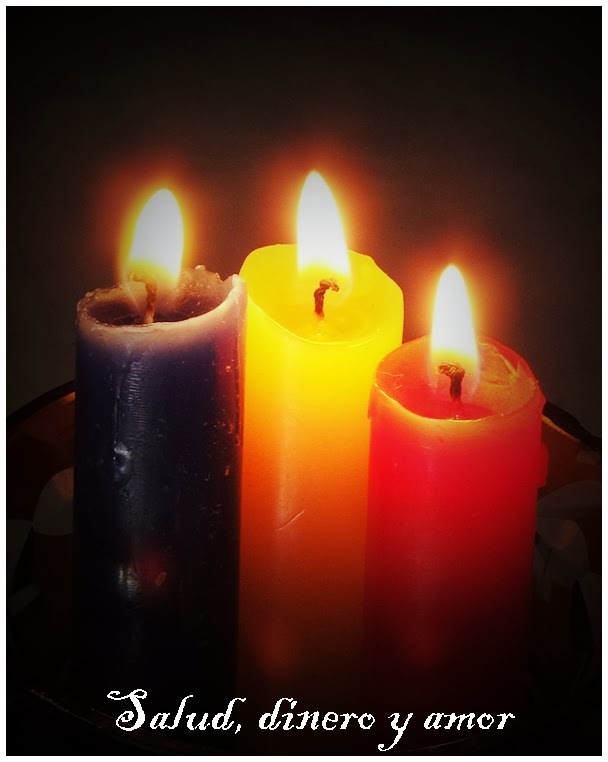 Color doesn't come into our lives by serendipity - it is invited in each and every day! Often New Year's Resolutions don't last because we forget to reset for - One Day At a Time! That is the foundation of organizations like AA and also, true for BecomeanEX! We did not magically become EXers by signing up - or by trying to be perfect always - or by going through an Event or Milestone just to stop processing our Quit Journeys! We came willing and able to reset and reset and reset our mental attitudes about smoking and recovery. We stepped into the unknown just as you are without knowing or even being able to imagine what being an EXer for Life can be. Some of us believed it was a lifetime sentence of austerity. Others believed it was an endless emotional roller-coaster because the first few days really do feel that way! We all had core beliefs - about ourselves - that could have held us back from recovery! But we came here and learned to perceive and thus, believe differently! Identifying a core belief is like solving a mystery of the illusions in your mind. You have to follow some clues to get down to the hidden beliefs in the unconscious. The package of false beliefs and assumptions starts to seem a bit unbelievable and then become ridiculous! - smoking does not make me happy! - smoking does not relieve my stress! - smoking does not make a good basis for friendships! - smoking does not keep me from getting fat! - smoking does not help my creativity or coping or job skills or anything, actually! Smoking just takes my precious, health, money, and yes, even love of others and trades a slow suicide in it's place. That's the transaction we make with a dead leaf wrapped in paper and dipped into thousands of deadly chemicals! Put that way - what do you have to fear? Smoking! Not all of the rest of the allure we have built into our belief system since most of us were teenagers and incapable of seeing what we were agreeing to! Fears associated with smoking are very common. However, the thought is not a core belief. When finding core beliefs, like a detective, you follow the emotion. We have to keep questioning how the emotion of fear is created by the act of smoking. In essence the fear of quitting isn't a fear of coping. It is a fear of the emotional pain that results from believing something negative about our self. There's emotional pain in believing that I'm too addicted to quit as well as "I can quit whenever I want - I just don't want to!" And I won't lie to you - facing emotional pains like these is the essence of recovery! It's very uncomfortable to let fear rise to the surface of our awareness rather than to sit tucked into the recesses of our mind in the form of core belief! That was for me, the biggest obstacle to my Quit Journey! Coming here and glimpsing through others' minds' eyes helped me to know that something better - something worthwhile awaited me after the first 3 days of physical withdrawal, the first few weeks of emotional upheaval, the hectic first 4 Months of my Quit Journey and onward, continuing to grow in Self Discovery. I came to learn, understand and the, yes, believe that yes, I can quit - not all at once, but for this day, and this day, and this day, no matter what! That's how I got to Day 3210 - one simple, doable day at a time! During that time I gave myself permission to investigate my core beliefs and to root out those - not only related to smoking - but related to Self Identity - that really were ridiculous to me once discovered! I was able to turn my beliefs to my Higher Power in whom I learned to trust to guide me into more and more Self Discovery/Recovery - not once but over and over again. Each blog I read, each comment I made, each discussion I constructed led me to a closer understanding of who the Real Thomas is - not the poor, addicted, hijacked, self destructive Thomas of addiction - but the person gifted to me by my Creator - free of the agreement I had made so many decades ago! Breaking through my core smoking beliefs and self concept beliefs would not have been possible without my participation at BecomeanEX because I didn't know where to begin to break the package agreement down into it's parts. This is what the blogs and relationships gave me - and I needed it every single day for a very long time to reset my stinking thinking again, and again, and again - layer after layer - and discover the Real Thomas! My biggest Fear is that I wouldn't like this person but I learned not only to like but to love ME! This is the gift of Recovery! It's a work in progress. And there's no better place to start than right now! And now! And now! If you missed your January 1 Quit Date or just didn't manage to keep from smoking - it's not too late! It's never too late! Right now I choose to strive for Addiction Freedom!